OverTime is putting the state of Montana in the spotlight when it comes to bringing forth authentic hip-hop! 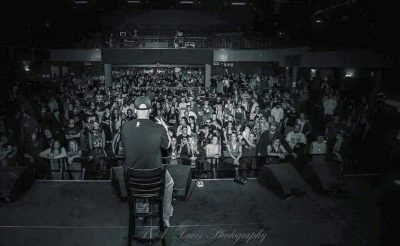 His unique hip-hop country flavor is taking the Northwest hip-hop scene by storm with constant sold outs shows and a never-ending dedicated fan base that will do anything to support his music! OverTime’s Youtube channel has roughly 9 million views with 7.5 million of them being on his hit song “Hunger In My Stomach”. His channel also boasts roughly 35,000 subscribers. His album The Foundation held a top 10 most selling hip hop album for 10 months straight with his distribution company CD Baby. His latest release United We Stand recently charted on the Billboard Top 200 and continues to climb the iTunes hip-hop charts! OverTime’s social media numbers also continue to climb every day. His Facebook page alone grows by roughly 1,000 new likes per week giving him a current total of 75,000 follows. OverTime’s music videos that have been uploaded to Facebook directly have garnered 5.5 million views giving him a total combined view count between Facebook and Youtube of over 14 million views! 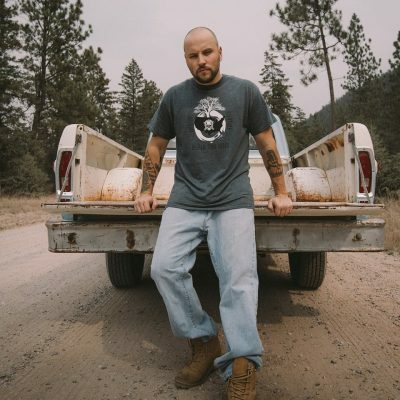 Don’t miss the Montana emcee’s “United We Stand” Tour kicking off September, 6th in Gillette Wyoming at the Boot Hill Nightclub then wraps up at the Paris Theater, 6 SW 3rd Ave., Portland, OR, Tue, Nov 20! Here is a Faygoluvers.net exclusive with OverTime! Chad Thomas Carsten: Are you able to break down in full details on how Montana shaped you as an emcee and a blue grass musician today? OverTime: Montana is a blue-collar state. Technology isn’t a big industry out here. Mining, ranching, and construction are! I write what I know. Growing up, I was split between spending time in the mountains, running around the small town of Whitehall, MT in the summers and spending my school years in Missoula, MT. Nobody around me had a lot of money, we just made it work. That’s what my music is about. CTC: What are your true thoughts in regards to the current state of the hip-hop genre? OT: The hip-hop genre is evolving. Us “old heads” don’t understand it. Most of us don’t like what is coming out these days, but is it really being marketed to us? The answer is no. This new age hip-hop is for the next generation. I don’t understand it, and honestly, I don’t have time to understand it, and quite frankly don’t care. I do me, and I believe that’s why my strongest demographic is between 24 and 44 years old. Ask anyone under 24 if they know who I am, chances are slim. What I know is folks between 24 and 44 do, and because of that, they are listening to my stuff around their kids. So who knows, maybe my career will get a second wind when those youngsters get older. CTC: What do you have to say to all the past Montana rappers who hated on you and fell off while you’re reaching the top of the underground? OT: Honestly, nothing. I don’t care, and never have. If you go through life worrying about needing some sort of affirmation from everyone else, you’re never going to make yourself happy. I’m successful, have an album on the Billboard charts, my family is taken care of, and I don’t have to worry about bills anymore. That’s all that matters to me. CTC: How do your parents/relatives/closes friends react to your music in general? OT: They love it! It took them a while, just like everyone else, but they see what it’s doing for my life, so they are my biggest fans. CTC: If you had to choose a specific brewed beer to describe your music to someone who’s never heard you before; what brand would it be and why? OT: Budweiser. It’s classic, you always know what you’re going to get, and you either like it, or you don’t. CTC: How challenging is it to switch between being a rapper to the front man of a Blue Grass Band? OT: I wouldn’t really classify it at Blue Grass. Honestly, it’s Country x Rock x Hip Hop. The transition is easy for me. All those genres are what I grew up on, so all I’m doing is letting my roots shine. CTC: Why should fans of the southern hip-hop scene be paying attention to your career right now? OT: It’s right in their wheel house. I’m not very versed on how things are in the south just like they aren’t very versed on how things are in Montana. What I’m beginning to realize though, is that it’s the same struggle, just a different area and a different dialect. CTC: Reflecting on your career as a whole, are you exactly where you want to be today? OT: Absolutely. Everything is going as I planned. I knew from the start that it was going to be a process. I’m just moving forward at my own pace. CTC: How did the Illumni movement come about and the story behind you and Illest Uminati first finding out about each-other? OT: Illest Uminati and I did our first album together back in 2007. Living in the same area, you just kind of know other people in the scene. We met up initially to do a collab song and that turned into an album. Years later, Illest hit me up about an idea he had to start a movement called #ILLUMNI. He’s extremely talented with bringing people together, so that part was taken care of. What I brought to the table was the business side of things. Handling the day to day business of #ILLUMNI, developing the structure of it, and keeping it legal. We work well together, so the movement has become very successful. Each year we do an annual festival (The Illest Festival Ever) in Montana and so far, after three years now, it has doubled in attendance. CTC: Which artist that’s deeply part of the Illumni Records movement do you see reaching success? OT: All of them. Honestly, success comes to those eager to learn. From that, those who apply what they learn. Each of the artists on the squad want to know every angle of the industry. They aren’t afraid to ask questions and aren’t afraid to invest in themselves. CTC: Upon meeting Yelawolf; did he give you any advice towards the music industry? OT: He didn’t. *Laughs* He had no idea who I was, and I didn’t introduce myself as OverTime. I’m just a fan of his, so, I met him, took a photo, and watched him rock a concert! CTC: If you, Jelly Roll, and Yelawolf did a track together, what would the subject matter focus on? OT: I think it’d be something along the lines of heartache. Not the kind of heart ache you get from love though. I’m talking the kind of heartache you get when you think about the people you love struggling in life and not being able to do much about it. I’m successful yes, but that doesn’t mean that my money is unlimited and I can just change everyone’s lives around me. And even then, that’d only be temporary. If people want to live a good life, it’s all about how they think and approach life. CTC: When fans come up to you and tell you in full detail on how your music saved their own lives, how do you react? OT: I ask questions. I want to know my fans. I want to know how my music is helping them. To keep helping them, I need to understand which parts of my music is helping. I evolve every day as an artist, but something I never want to lose is the deep content. CTC: Precisely where you in Montana when you first started writing the lyrical content within United We Stand? OT: I was in my home studio in Missoula, MT. It was a garage that I converted into a studio. CTC: What does your album title behind United We Stand fully represent? OT: Simply put, I’m sick of how separated our country is right now by race, politics, sexual orientation, etc. 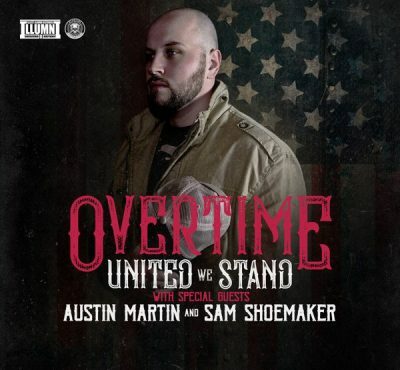 So, United We Stand is part of a 2-part album series meant to bring people together. I released United We Stand, now I’m working on Divided We Fall. CTC: What were the first thoughts/feelings that rushed through out your mind and body when you found out you charted on the official Billboard charts? OT: I didn’t realize it was real. I still don’t. Phone calls keep coming in from “important” people in the industry, and it’s starting to become a reality. I think I was more excited to tell my son and girl than I was to see it for myself. 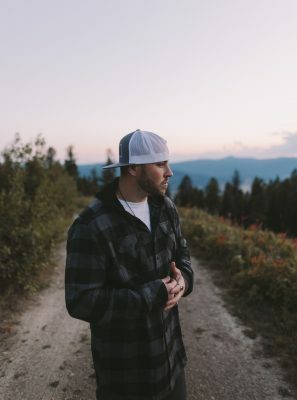 CTC: Lyrically, how does United We Stand reflect your own personal struggle as a Montana emcee? OT: I feel like I still have a lot to prove. I feel like, even with the success that I have had, not enough people take me seriously. So, I’m still hungry. I still have a lot to say. The content in United We Stand has a lot to do with me still proving myself. CTC: Any behind the scene stories you’d like to share when you were in the middle of the recording process behind United We Stand? OT: Little Riddle Interlude. My dialog at the beginning of the song was with my little brother who recently committed suicide. He was in the control room hitting record for me on that song. That dialog is something that I usually cut out of my songs, but I kept it to remember. CTC: How did the Montana scenery influence the production found within United We Stand? OT: To me, Montana is a great place for reflection and soul searching. All you do is head outside in the morning, or evening, and you realize that this world is enormous. Our problems are smaller than we think, and if we just breath for a minute, we can ground ourselves. CTC: Was there any type of instrumental recording technique you’ve always wanted to, but didn’t get to until you started recording United We Stand? OT: Live band stuff. I’ve always wanted to feature my band in my music and had the opportunity with this one. I actually had some live band stuff on Johnny Rotten as well, but the stuff my guys did on this one is next level! 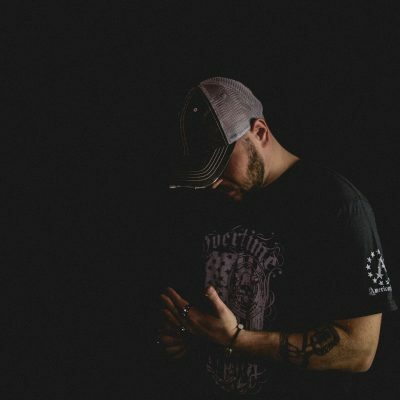 CTC: How did you and Billings, Montana artist Chez first meet and what was it liking working on the track “Lions Den” together? OT: Years ago we did a concert in Billings and stayed in touch ever since. I had a track that I thought he’d sound great on, sent it over, and just as I suspected, he killed it! CTC: What motivated you to do to write the aggressive track “Carousel”? Did any current struggle inspire its lyrics? OT: Actually, my song called “The Foundation”. I’m always trying to come up with stuff similar to that one because I love that song. I grew up on the early Eminem stuff and just like how motivating those harder tracks are. CTC: Can we dive deep into the closing track “Wake Up” and what the song is truly about? OT: “Wake Up” was written for a couple of my close friends who I see as my little brothers. One is still around and one took his life. They both came to me for guidance in the music world and I helped as much as I could. Unfortunately, addiction doesn’t discriminate, and when it takes hold, it’s very hard to overcome. CTC: Which track from United We Stand do you look forward to performing live every night and why that specific track? OT: “County Line”. I love the vibe of it. I love the flow, I love that it’s not straight rap. CTC: How satisfied are you with the final outcome of United We Stand? Anything you would do different or keep it as is? 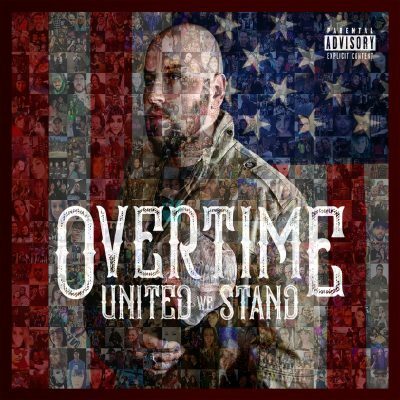 OT: I love how United We Stand came out. It’s also early, so ask me in a couple years if I’d change it. Right now, I’d keep it just how it is. CTC: When can fans expect your next music video? OT: My goal is to release a couple new videos every month for the next few months. I have an amazing video guy, Michael Graef, who’s eager to work! CTC: Any advice you’d like to share about surviving independently as an artist? OT: Invest in yourself. Learn how to advertise and do it! CTC: Any final shout outs and thoughts on your latest upcoming adventure? OT: I need to shout out my producer Travis Murrill with Wavbenderz. He’s the other half of “OverTime”. My band, The Blue Collar Soldiers Band (Damien, Dayv, and Bobby), my ILLUMNI and my partner Illest Uminati. My publicist James. And of course, my family! I’ll be on tour from September 6th through November 20th, 2018! The United We Stand Tour spanning all over the United States.